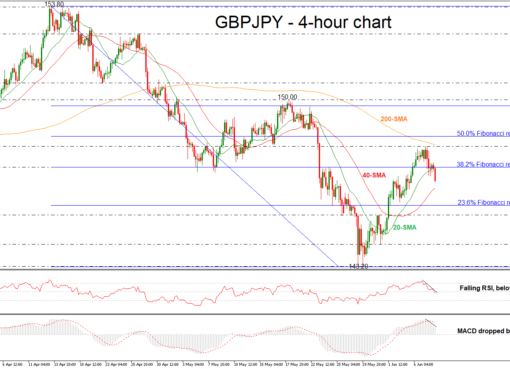 GBP/JPY gains some ground; remains below moving averages in the near-term. 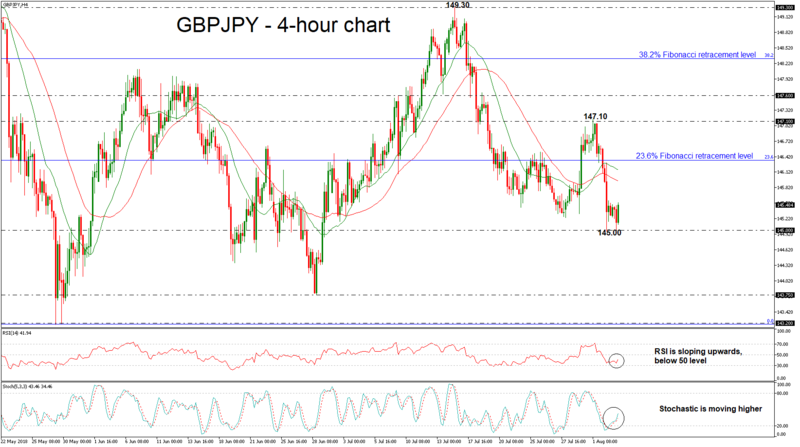 GBP/JPY is trading slightly higher over the past few hours after the rebound on the 145.00 psychological level. The price is trying to gain some ground; however, it is still developing below the 20- and 40-simple moving averages in the 4-hour chart. The Relative Strength Index (RSI) is currently increasing positive momentum towards its neutral threshold of 50, while the stochastic oscillator is moving higher, both hinting that the next move in prices could be on the upside rather than on the downside. 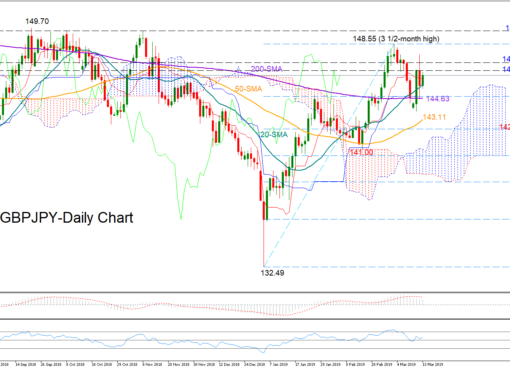 If the pair bounces further up, immediate resistance could be met at the 40- and then at the 20-simple moving averages (SMA) at 145.95 and 146.14 respectively. 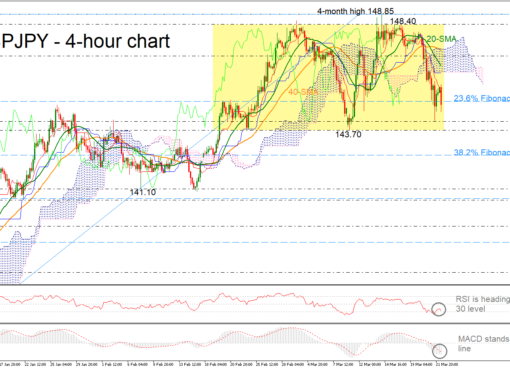 Jumping above these levels, the pair could challenge the 23.6% Fibonacci retracement level of the down-leg from 146.60 to 143.20, around 146.35. 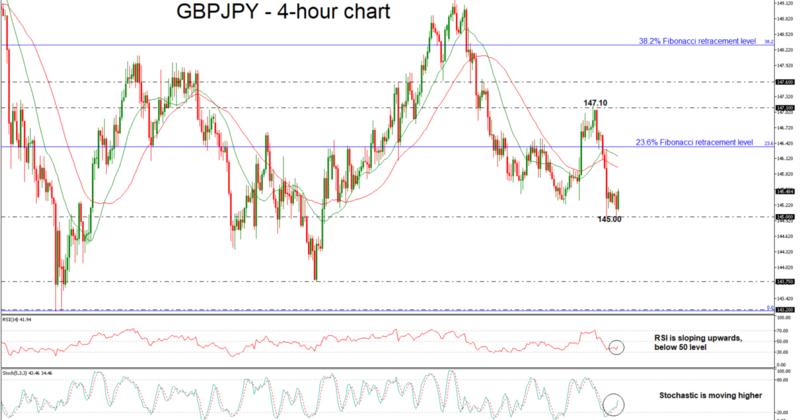 Even higher, the price could hit the 147.10 resistance, taken from the high on August 1. However, should the market extend losses, immediate support could come from the 145.00 key level. A leg below this area could increase downside pressure and push the price until the 143.75 hurdle. In the bigger picture, the pair is bearish as it posted a sharp sell-off following the touch on the 149.30 resistance obstacle and bears are still have the upper hand.